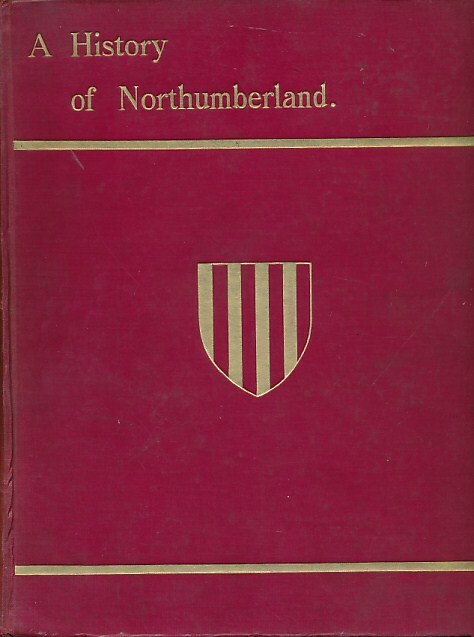 Barter Books : Bateson, Edward : A History of Northumberland. Complete 15 volume set. 280 x 220 mm (11 x 9 inches) - 8000pp. VG : in very good condition without dust jackets as issued. Spines faded with minor wear to covers. [Covers the following : I. Bamburgh & Belford. II: Embleton Ellingham, Howick, Longhoughton, Lesbury. III: Hexhamshire Pt 1. IV : Hexhamshire Pt 2, Chollerton, Kirkheaton, Thockrington. V : Warkworth, Chevington, Shilbottle, Brainshaugh. VI : Bywell, Slayley. VII : Edlingham, Bolton, Felton, Framlington, Brinkburn. VIII : tynemouth. IX ;Earsdon, Horton. X : Corbridge and Roman Remains. XI : Carham, Branxton, Kirknewton, Wooler, Ford. XII : Ovingham, Stamfordham, Ponteland. XIII : Heddon -on -the -Wall, Newburn, Longbenton, Wallsend, Gosforth, Cramlington, Benwell, Elswick, Heaton, Byker, Fenham and Jesmond, This volume also covers the suberbs of Newcastle with special sections on the Tyne coal trade and Roman Wall. XIV : Alnham, Chatton, Chillingham, Eglingham, Ilderton, Ingram, Whittingham, Lowick, Doddington, as well as a substantial prehistoric section. XV : Simonburn, Humshaugh, Bellingham, Falstone, Thorneyburn, Greystead, Wark, Rothbury, Alwinton, Holystone, Kidland and a substantial prehistoric section and detailed survey of Roman Redesdale]Editors include Edward Bateson, Allen B Hinds, John Crawford Hodgson, H E Craster, Kenneth H Vickers, Medeleine Hope Dodds. The volumes cover areas within ecclesiastical parishes with sections on Prehistory, Romans and The Tyne Coal Trade as well as the four ancient parishes within Newcastle. Each volume is indexed and there are extensive pedigrees and genealogies. Includes volumes 14 and 15 on Rothbury, Alwinton, Chillingham, Eglingham, Whittingham. Bookplate on fep.